Dr. Robert Goldsmith, the current Executive Director of Corporate Employee Health at Novartis Services Incorporated, has been selected by the American Health Council’s Board of Physicians. His expertise in internal medicine, occupational medicine, and public health are being acknowledged as major contributions to American healthcare. With 32 years in the healthcare industry, including 8 in his current role, Dr. Goldsmith became involved in his profession as he has always held an attraction towards science and working directly with people. He graduated with his medical degree from Albert Einstein College in New York, was trained at Greenwich Hospital and Yale-New Haven Medical Center, and obtained his Master’s in Public Health from The University of Connecticut. At Novartis Services Incorporated, Dr. Goldsmith’s daily responsibilities include overseeing all clinical aspects of employee benefits, as well as participating in occupational health, emergency medical services, acute care, and wellness programs. Dr. Goldsmith has been garnered with numerous honors and feats during his career. 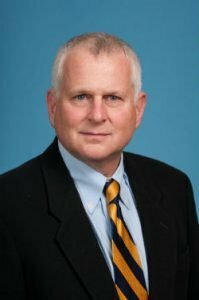 He has been appointed as a Clinical Instructor at Columbia University’s Department of Medicine, has served as a team physician for Stamford’s high school athletes, and has published on occupational risks among marijuana users, the innovations in primary preventions of diseases and exercise-induced asthma. He holds a Fellowship from the American College of Occupational Environmental Medicine, an American Heartsaver Award from The American Heart Association, and a Certificate of Thanks from Australia’s Olympic Organizing Committee. Charity-wise, Dr. Goldsmith is a Team Physician for The Stamford School District. He has run in multiple marathons, and enjoys riding motorcycles and playing guitar during his free time. Within the next 5 years, Dr. Goldsmith plans to continue to grow in his current profession. Novartis provides healthcare solutions that improve and extend people’s lives. NSI uses science-based innovation to address some of society’s most challenging healthcare issues. They discover and develop breakthrough treatments and find new ways to deliver them to as many people as possible. Novartis Services is focused on industry-leading divisions with innovation power and global scale: pharmaceuticals, eye care, and generic medicines. Novartis is headquartered in Basel, Switzerland. Novartis Group companies employ approximately 120,000 associates and its products are available in more than 180 countries around the world.